The Ministry of Health (MOH) has granted new licenses to allow Waikato medicinal cannabis company Cannasouth to import and cultivate a wide range of cannabis cultivars for research purposes. These licenses are in addition to Cannasouth’s other MOH-approved license to possess controlled drugs, which allows the company to extract, process, and manufacture cannabis products for scientific research. One of the new licenses allows Cannasouth to import an approved pharmaceutical ingredient (API) from the Netherlands – dried cannabis flower – for research purposes. The latest license approvals are another milestone for the medicinal cannabis company, which announced in October last year of its intention to list its shares on the NZX Main Board through an initial public offering (IPO) in the second quarter of 2019, the first medicinal cannabis company in New Zealand to do so. CEO Mark Lucas says having all three licenses is a significant step forward for Cannasouth’s medicinal cannabis research and will enable the company to speed up its research programmes ahead of proposed legislation changes that will allow the manufacture and sale of medicinal cannabis in New Zealand. “By importing a wide variety of cultivars, along with the dried flower from the Netherlands, we can further investigate the potential of both high CBD and THC varieties,” says Lucas. He says CBD and THC are the most well-known compounds in medicinal cannabis, with both shown to relieve suffering from a wide range of medical conditions. “What is less known, is how both compounds can work together in different compositions to alleviate suffering, and how other rarer compounds present in medicinal cannabis can also be used in treating medical conditions. Lucas, alongside co-founder Nic Foreman, has been involved in the cultivation and research of industrial hemp, and now medicinal cannabis, since 2002 when they were granted one of New Zealand’s first cultivation licenses. In 2016 they received funding from AGMARDT and Callaghan Innovation to undertake research projects with the University of Waikato. Cannasouth completed two rounds of capital investment raising in 2018 which was used to hire key staff and complete construction of cultivation and research facilities. Planning is now underway to establish GMP (good manufacturing practices) production facilities, in anticipation of legal sales of locally produced cannabis medicines in 2020. Lucas says alongside an expanded team in-house, they have also added two new members to their advisory board – University of Waikato neuroscience researcher Associate Professor Brett Langley and Colorado, US-based medicinal cannabis company expert Zach Sufrin. They join an experienced business and science advisory board that includes Australia-based director and chair Tony Ho, former Federated Farmers CEO Conor English, and University of Waikato scientist Emeritus Professor Alistair Wilkins. 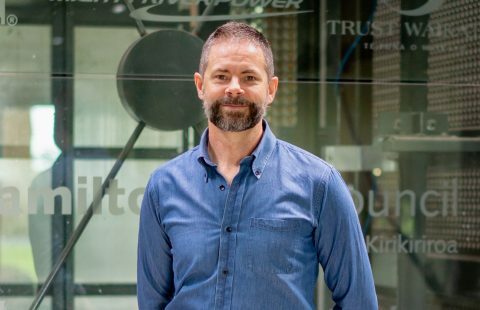 Tim Preston of CM Partners, one of the seed funders of Cannasouth and NZX sponsor for its planned IPO, says Cannasouth’s new licenses and the completion of its cultivation and research facilities further positions the company as one of the industry leaders in medicinal cannabis research in New Zealand. “Cannasouth is on track with its IPO plans, and we believe the company will be well received by investors given the transparency and rigor that accompanies a stock exchange listing,” says Preston. Keep up to date with the latest from CM Partners with our email newsletter. The purpose of this website is to provide information about our services and people. We may also provide updates from time to time on legal issues or developments. None of the information on our website comprises legal advice. We may provide links to other websites, but we are not responsible for any content or information on any websites that are linked to our website, as we have no control over such websites. You acknowledge that the information on our website is of significant commercial value to us and our licensors, and that all copyright, trade marks, database rights and other intellectual property rights in or to the information on our website are owned by us or our licensors. No right or licence is granted to you to copy, distribute or exploit any of the information contained on our website. If you wish to copy, distribute or exploit any such information, please contact us first. (b) reverse engineer or decompile our website or any software comprising or underlying our website. You understand and agree that your use of our website is at your sole risk. Our website and the information on it are provided by us on an “as is” and “as available” basis. We disclaim and exclude any implied conditions or warranties (including, without limitation, any warranties of merchantability, quality, and fitness for a particular purpose). Without limiting the above, we do not warrant that our website or any information on it will be available at all times, secure, accurate, or error-free. In no event will we, or our employees, agents, and other personnel, have any liability to you (whether in contract, tort including negligence, or otherwise) in relation to your use of our website, whether or not such liability is direct, indirect, consequential or of a special nature, including without limitation, any liability for loss of revenue, profit, anticipated savings, goodwill or opportunity, production or loss or corruption of data. In the course of operating this website CM Partners Limited (“we” or “our” or “us”) may collect, use, disclose and hold information about an identifiable individual (“Personal Information”). This Privacy Statement describes the Personal Information collected by our website, and describes the purposes for which we may use, disclose or hold such Personal Information. During your visit to our website we may collect statistical data about your visit, such as the date, time and length of your visit, the URLs or addresses of the website pages you visit, the operating system, browser, each engine and IP address used by the computer you are using to connect to the internet and the domain name from which you are accessing the internet. This information may be collected by third party software operating on our website. If you wish to make an enquiry of us using the online form on the “Contact Us” page, then during that process you may provide us with Personal Information, for example, your name, address, email address and phone numbers. We may also collect other Personal Information about you during the course of your relationship with us, either directly from you or from third parties. (b) where we reasonably believe that such use or disclosure is required or expressly permitted under any applicable law.